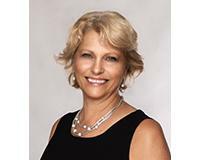 She is an active realtor with the Crawford Home Selling Team at Keller Williams in Morristown, the #1 team in Morris County in transactions and dollar volume (214 Units / $85 million Volume 2016). Representing buyers and sellers, her goal is to educate clients so they can make informed decisions. It’s her ability to listen, advise, communicate and the experience that comes from 13 years of servicing real estate clients, that makes her a great realtor and a valuable resource. After numerous moves in her early life, Kim now considers herself a Morristown lifer. She was an active volunteer in the Morris School District with three children and now enjoys being involved with the Mayo Performing Arts Center.